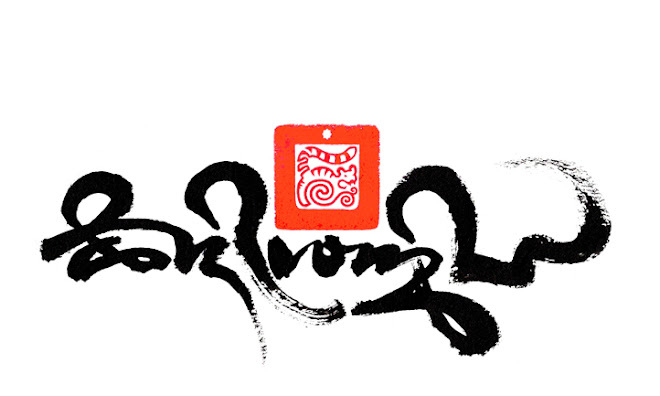 Tibetan new year of the Metal Tiger. 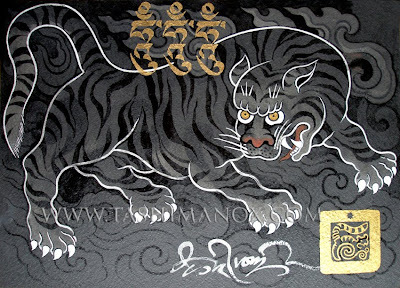 Kagyu Tiger, From the Black-on-black series, Tashi Mannox 2008. 102x73 cm, mounted board, gold and silver leaf. The three hum characters in gold, that ride the back of the tiger are the three essential syllables of the Dorje Drolo yidam practice, a wrathful manifestation of Guru Rinpoche, Padmasambava, practiced to overcome inner and outer obstacles. May it be a year of Iron like strength, to accomplish all wishes swiftly as a tigers leap. 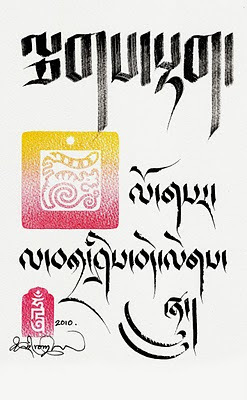 Click here to view a Losar 2010 good wishes from H.H. 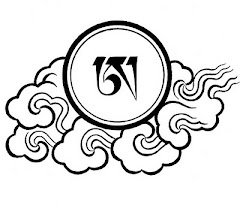 17th Karmampa, Ogyen Trinley Dorje.